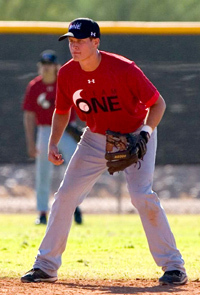 Team One Baseball will host national showcases to put high level athletes in front of a large contingent of college recruiters and professional scouts. Team One has become a platform for high level players to be seen on ONE field to help earn rosters spots and scholarships. 1. To allow college recruiters and professional scouts to scout me in a professional atmosphere in a relatively short period of time. 2. To allow college recruiters to see me in a workout and showcase game setting, in case they are unable to see me perform in a high school or tournament game. 3. To receive a personal player webpage that includes: video footage, scouting report, profile, contact information, and academic information. 4. 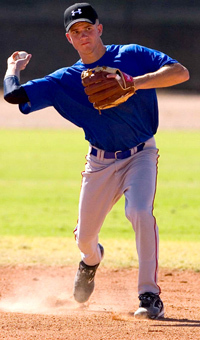 To get my personal player webpage in the hands of unlimited number of college recruiters and professional scouts. 5. So, that my parents and I can attend the recruiting and scouting seminar to enhance my knowledge of recruiting rules, eligibility requirements and exposure opportunities. 6. To be seen by Team One Staff for a possible selection to the Under Armour All America Game, that feature the best 36 players. 2. 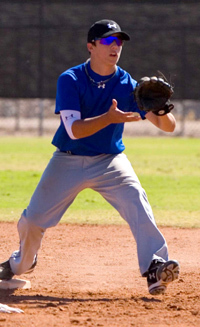 Attend an Under Armour National Tryout, powered by Baseball Factory. 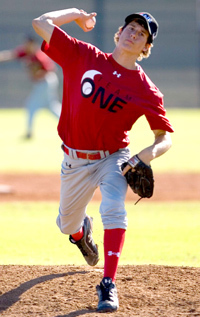 Our scouts will review your performance to determine if you qualify for selection to a Team One - Under Armour Showcase. * Team One Baseball and its parent organization, Baseball Factory will notify all college and professional organizations about showcases and tournaments being hosted. Team One cannot guarantee college coaches and/or scouts attendance prior to the event.